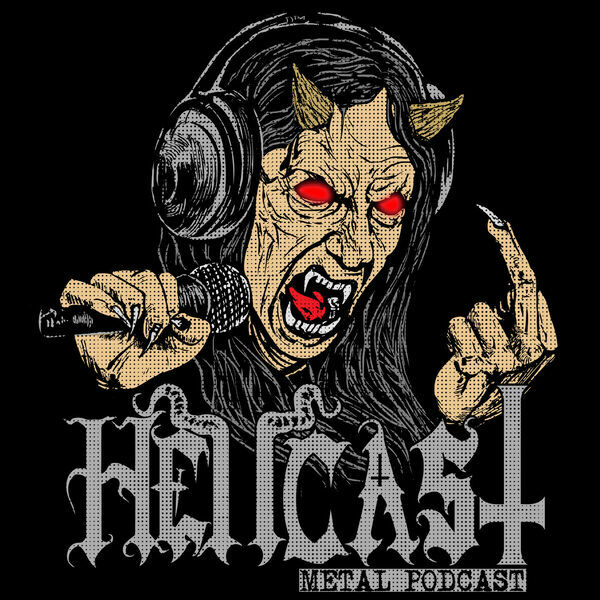 HELLCAST | Metal Podcast - Episode #39 - Try This Shirt On For Size! HELLCAST SHIRTS! http://shop-hellsheadbangers.com/hellcast-metal-podcast-shirt.asp now that you've bought one; there are many obstacles polluting our dear metal world and Reaper and Eddie for two are outraged, REALLY!? Not them! But the angst settles (or does it?) with a few phone calls to some local radio stations, record stores and a church in hopes to make a request, find some new tunes and to book a black metal gig. Needless to say we are pretty sure their phones didn't work as well as ours since they didn't seem to recognize our bands. But how could one be angered by the normal world toward metal since they have never judged us for listening to metal; right? Instead of remaining confused from this description just play the freakin' episode! S.F. "Go To Hell" | SATAN'S SATYRS "Satan's Satyrs" | REPUKED "Night Soil Drunks" | SEEDS OF HORROR "Seeds Of Horror" | ABYSMAL GRIEF "The Gaze Of The Owl" | OLD HEAD "Ungodly" | ZEMIAL "Under Scythian Command" | WAR "Reapers Of Satan" | TREBLINKA "Crawling In Vomits"